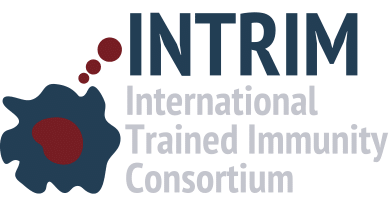 INTRIM consortium is a large-scale collaborative effort that aims to investigates the mechanisms of adaptation within the innate immune system, process also termed trained immunity. INTRIM aims to study the process of trained immunity, a de facto innate immune memory, in order to improve our understanding of the immune response and identify novel strategies for the improvement of vaccination and the diagnosis and treatment of diseases. On this website you will find information about the participating research groups and the major research projects that are initiated within INTRIM. Each of these projects focuses on specific aspects and research questions. If you are a researcher and want to collaborate on one of these projects leave a message or contact us.